Your new custom home is going to be your pride and joy. You’ve worked hard to bring it together and now you need someone who will provide the electrical infrastructure that will make it click. For more custom homeowners in Toronto, Richmond Hill and Vaughan that somebody is Hotwire Electrical Contractors. We handle every aspect of the wiring project ensuring on-time, on-point realization of your vision at a price that won’t drain your bank account. We get the job done right no matter how complex and we keep you in the loop every step of the way. Furniture placement – Often in custom homes rooms are designed and arranged to take advantage of specific sightlines both interior and exterior (in the form of a compelling view for example). Because of this furniture is often designated a particular place, as opposed to being moveable in a standard box room. The placement of outlets, switches and overhead lights then must take this type of permanent furniture placement into consideration. 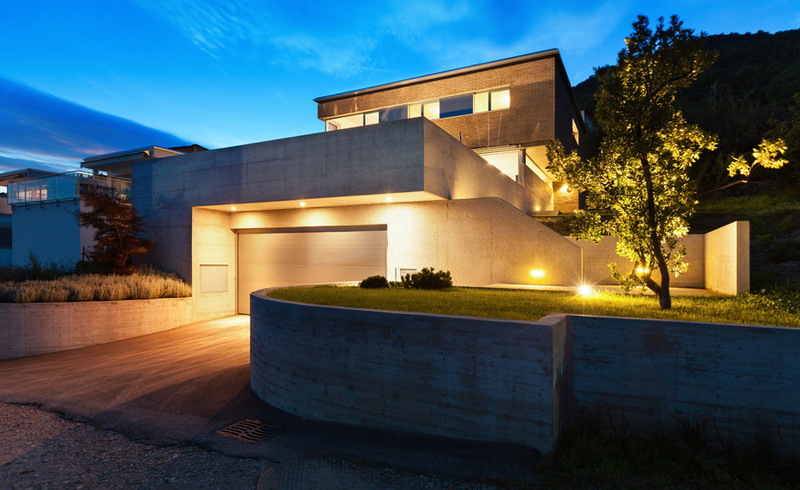 Automation – One aspect of many contemporary custom homes that sets them apart from older standard housing stock is the degree of technological integration at work. You likely want your custom home to feature the latest in centralized as well as remote control so that you can monitor and actuate different components from wherever you are as you see fit. Hotwire specializes in smart home wiring. Ask us about it. Exterior house lights – There’s no doubt you’re going to want to show your custom home in the best possible light, so to speak. Careful consideration as to the placement, type, intensity and colour of exterior lighting will determine how others view your new custom home. Our custom homes electricians will sit down with you and provide you valuable feedback about these and other issues. Security – A dynamic custom home is nothing if not an attention magnet. Unfortunately not all of the attention it garners will be welcome. Because of this you’re going to need a state of the art security system that monitors all aspects of the property and alerts both you and the police to potential problems. We can wire this type of system for you. Landscape lighting – Lighting the house is one thing. Lighting the property is another. Chances are you’ve put as much time and expense into the landscaping around the home as you have into the house itself. All that’s left to add is the landscape lighting. Our custom homes electricians are experts at making your landscape come to life after the sun goes down. Energy efficiency – One of the most important aspects of lighting your new custom home will be to insure that it’s as energy efficient as current technology will allow. That means that LED lighting should be a significant part of your overall lighting plan both interior and exterior. We can help you design a lighting scheme that is several orders of magnitude more efficient than anything possible in your parents’ day. Controls – The last thing you’re going to want in your custom home is a standard flip switch in every room for every light. To really make your home come to life you’ll want to take advantage of the range of controls available today including all types of dimmers, timers and of course, motion detectors. We can help you determine exactly which type of control will be right for which space and then wire them in so that your home can shine. When wiring a custom home the goal of the licensed electrician should be to enable the owner to enjoy all of the practical, aesthetic and entertainment possibilities inherent in the design and do so in a way that is simple, logical and energy efficient. Hotwire custom homes electricians are detail oriented, methodical and imaginative as well as being fully versed in every aspect of the latest technologies and building techniques. So whether your new custom home is built from steel, glass and concrete or shipping containers and reclaimed wood we have the expertise to design and implement a comprehensive wiring layout that will activate the design in ways you may not have thought possible. If you are planning to build a custom home it’s never too early to get the custom homes electricians involved. Input and feedback you get from a master electrician during the planning stage can save you a lot of time, hassle and money later on. Call Hotwire Electric today on 416-553-5533 to find out more.